Taking Screenshot on iPhone, iPad and iPod Touch is as simple as pressing the buttons on your iPhone. Thanks to Apple for making this task easier, as this is the most common feature most of the users use it on a daily basis. 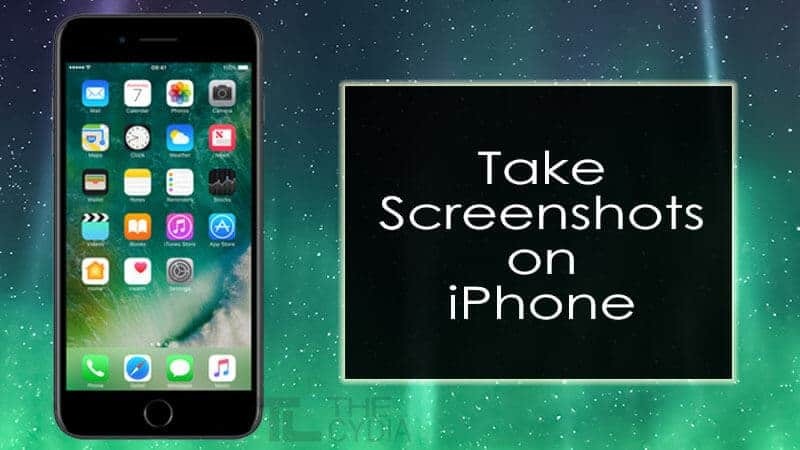 But still taking scrolling screenshot on iPhone is one of the difficult tasks, only until you have followed this guide. On this page, we have shared few methods which will help you in taking a screenshot on iPhone, iPad and iPod Touch devices. The methods shown in this tutorial are compatible with the following iPhone, iPad, and iPod Touch models. This is the most common method to take capture screen on your iOS device. It requires you to press the Sleep/Wake and Home buttons. Step 1: Assuming that you are on the screen whose screenshot you want to take. Press and Hold the Sleep/Wake button on the top or side of your device. Step 2: Immediately press and release the Home button. Step 3: A screenshot should be taken and you can find it from Photos app > Albums > Screenshots. Step 4: From photos app you can share your screenshots with your friends. This method requires you to turn on or enable AssistiveTouch on your iPhone. 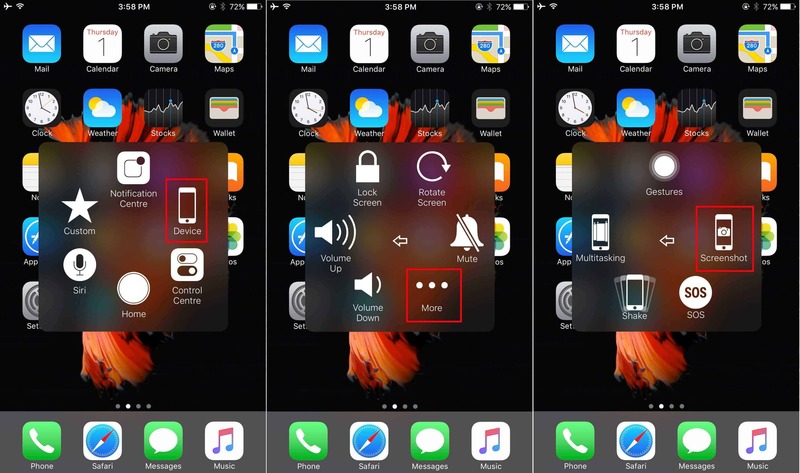 Follow this guide on how to enable AssistiveTouch on iPhone. Assuming that you have AssistiveTouch enabled, let’s proceed with the steps on taking a screen capture on iPhone. Step 1: When you are on the screen which you want to capture. Tap on the AssistiveTouch icon on the screen. Step 2: Tap on Device and then on More. Step 3: Now tap on Screenshot. A screenshot of the screen will be taken. This is how we can take screenshots on iPhone, iPad, and iPod Touch devices and share them with friends. If this guide was helpful, then don’t forget to share it with your friends on Facebook, Twitter and Google Plus etc. Which of the above two methods would you prefer to take a screenshot on your iPhone? Do let us know in the comment section below. © 2019 | The Cydia | All Rights Reserved.